One of the key roles when you scale out a software as a service (SaaS) company for success are Sales Development Representatives (SDR), otherwise known as a Lead Generation Representative or Business Development Representative (BDR). They play the critical role of qualifying the leads generated by marketing activities and then handing them off to the Account Executives who run the sales cycle to a close. Throughout my discussions with a number of VPs of Sales, I was surprised when everyone agreed NOT to use recruiters when building out a BDR team! Why? Because the success rate is the same as or worse than if they did it themselves, so don’t waste your money. Typically the candidates you are looking for to build out these roles are early on in their career, so instead of blowing through your burn rate for a 3rd party recruiting firm to search for them—why not own the process internally, or better yet have your Head of Sales run with it? I based this article on interviews with a number of VP’s of Sales that have spent decades building out sales teams, coupled with my experience recruiting for these teams. Many thanks to Jay Hedges at Uberflip, Milos Krsmanovic at Leonardo and Aly Saleh at Canopy Labs for sharing their insight. This article will cover how to attract, identify, train, manage and ultimately increase your success rate in bringing on this most critical talent for your company to its grow revenues. 1. How Do You Attract Them? Short answer: any way you can. You might need a bit of a blanket approach here, but you should flood social media, put some budget behind advertising these posts, promote on university job sites and popular job boards. You’re looking for candidates with potential over work experience, so it’s wise to cast a net to pull in as many prospects as possible. And because there is no guarantee that they will stay in the job after they start, you need to be constantly recruiting prospects so you have a pool of qualified candidates to tap into to add or replace on your team. There are different opinions on who you should meet. Some make the argument that you need a college or university degree because it demonstrates the necessary discipline to be successful, along with the notion that they will have strong communication skills and a desire to achieve. Now while it doesn’t entirely matter which program they stem from, having a business degree is desirable, but philosophy and psychology majors also bring with them a very transferrable set of skills. It’s a bit of an interesting line to finesse here, because some candidates might come in overqualified for the role and find themselves struggling with the grind of it and won’t tough it out – which brings me to our next point. This has many varied approaches, but the common theme is identifying character. Are they driven, motivated, curious, engaging, responsible and intelligent? These are the most predictive characteristics of a successful candidate. 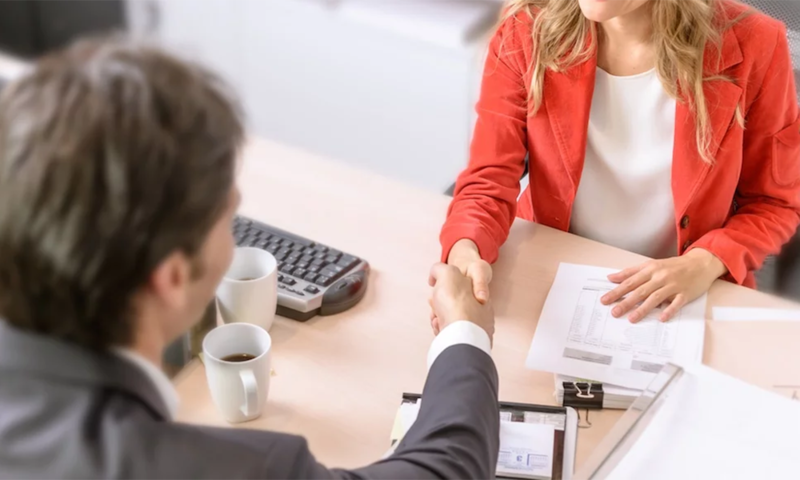 Some of the approaches that sales leaders employ to determine if they embody these traits are to look at the entire approach the candidate took from initial communication through to acceptance of an offer. Did they exhibit professionalism, urgency and a sense of purpose? What kind of part time jobs they had in high school and university? Did they actually contribute to expenses or did they have both hands dug deep into their parents’ pocket? Are they quick on their feet? Are they goal oriented and driven to learn? Do they have their eye on the next role? Are they looking at the SDR role as a short stepping stone in their career? The leaders I spoke to found a big correlation between the length of time spent in an SDR role and their subsequent success as an Account Executive. One of the most important parts of the evaluation was having prospects do a presentation. In addition to the obvious level of comfort in speaking in front of others, they were looking to see how prepared they were – and did they care? As the role is primarily to send an email and follow up with a phone call, the training shouldn’t run more than three days. During this time they will get product training, shadow senior team members and practice their pitch until they have it mastered and feel confident in the process. During the first few months, the role will likely require a lot of handholding, micromanagement, accountability to targets and ensuring proper CRM use. Every company will differ on the metrics, but the benchmarks typically include the number of meetings booked and opportunities qualified. There can be small bonuses for these successes but the larger bonuses should be based on deals, so they are focused on effective needs analysis and qualifying. Most Sales Development Representatives want to run their own deals and manage an entire sales cycle. So how do you manage their career aspirations? By the 6-month mark, you will know if they are ready for a promotion to an Account Executive. Some companies will take the approach based on when they hit the mark of qualifying fifty leads, or just their tenure in the role – but you will know when and if they are ready to champion the cycle and start to close business. I’ve learned about the trials and tribulations of building out SDR/BDR teams when I sat down with the VP’s that have spent years developing their own approaches. The companies they work for made the smart decision to let them build it out, but if you don’t have that luxury, then this will give you insights into their best practices. Share your thoughts in the comments section below.